Most DansDeals readers probably know that 20K Starwood points can transfer into 25K airline miles with dozens of airlines. That 25% transfer bonus is one of the reasons that Starpoints are valued so highly. But with the Marriott merger came a more lucrative method to transfer points into miles. 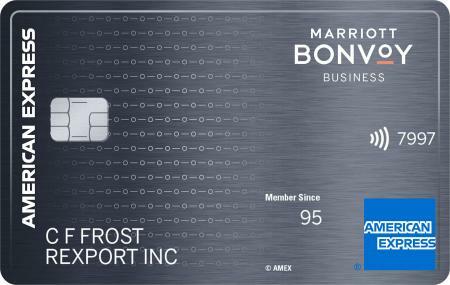 You can transfer 1 Starpoint into 3 Marriott points or 3 Marriott points into 1 Starpoint. 90K Starpoints transfers into 270K Marriott Rewards points. That can be redeemed for a week in a Marriott hotel plus 132K United miles or 120K miles from other airlines. Additionally there are often promotions to earn even more than that. 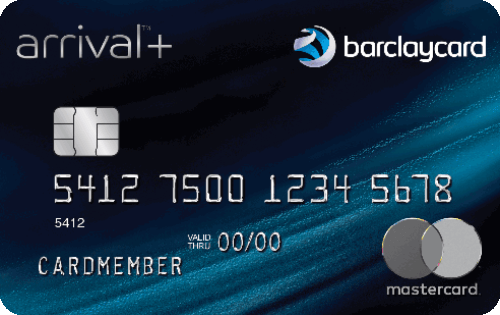 Currently, British Airways is offering a 35% transfer bonus, so 90K Starpoints will transfer into a week in a Marriott hotel plus 162K Avios! American and United have also offered several promotions for transfer bonuses as well. It’s hard to impute a value of this transfer as it includes miles and nights, but let’s attack it from 4 different angles that will show the highest possible valuation, a reasonable stay valuation, a dirt cheap stay valuation, and the lowest possible valuation. 1. 7 nights at a category 5 hotel would normally cost 150,000 Marriott points or 50K Starpoints. If you were spending 150K Marriott points to stay for 7 nights in those hotels anyway it’s like using the extra 40K Starpoints for 132K United miles, an effective 230% transfer bonus. 2. If you wouldn’t normally stay 7 nights at a hotel, but assign a reasonable value of 5K Starpoints per night, that would make the certificate worth 35K Starpoints. That means we can assign a value of 55K Starpoints use for 132K United miles, an effective 140% transfer bonus. 3. If you wouldn’t normally stay 7 nights at a hotel, but assign a dirt cheap value of 3K Starpoints per night, that would make the certificate worth 21K Starpoints. That means we can assign a value of 69K Starpoints use for 132K United miles, an effective 91.3% transfer bonus. 4. Don’t need 7 nights in a hotel? Some Marriott reps will allow you to return the 7 night hotel certificate for a refund of 45K Marriott points which you can transfer back to 15K Starpoints. You may need to book a hotel and cancel it in order to receive a 45K point refund. That’s not a good value for the 7 night hotel certificate, but if you won’t use the hotel stay then it’s better than nothing. If you return the certificate it’s like using 75K Starpoints for 132K United miles, an effective 76% transfer bonus. 5. Don’t want to mess with miles+nights? You can transfer 18,667 Starpoints into 56K Marriott points which transfers into 25K United miles, an effective 33.9% transfer bonus. 1. 7 nights at a category 5 hotel would normally cost 150,000 Marriott points or 50K Starpoints. If you were spending 150K Marriott points to stay for 7 nights in those hotels anyway it’s like using the extra 40K Starpoints for 162K BA Avios, an effective 305% transfer bonus. 2. If you wouldn’t normally stay 7 nights at a hotel, but assign a reasonable value of 5K Starpoints per night, that would make the certificate worth 35K Starpoints. That means we can assign a value of 55K Starpoints use for 162K BA Avios, an effective 194.5% transfer bonus. 3. If you wouldn’t normally stay 7 nights at a hotel, but assign a dirt cheap value of 3K Starpoints per night, that would make the certificate worth 21K Starpoints. That means we can assign a value of 69K Starpoints use for 162K BA Avios, an effective 134.8% transfer bonus. 4. Don’t need 7 nights in a hotel? Some Marriott reps will allow you to return the 7 night hotel certificate for a refund of 45K Marriott points which you can transfer back to 15K Starpoints. You may need to book a hotel and cancel it in order to receive a 45K point refund. That’s not a good value for the 7 night hotel certificate, but if you won’t use the hotel stay then it’s better than nothing. If you return the certificate it’s like using 75K Starpoints for 162K BA Avios, an effective 116% transfer bonus. 5. Don’t want to mess with miles+nights? You can transfer 23,333 Starpoints into 70K Marriott points which transfers into 33,750 Avios, an effective 44.6% transfer bonus. 1. 7 nights at a category 5 hotel would normally cost 150,000 Marriott points or 50K Starpoints. If you were spending 150K Marriott points to stay for 7 nights in those hotels anyway it’s like using the extra 40K Starpoints for 120K miles, an effective 200% transfer bonus. 2. If you wouldn’t normally stay 7 nights at a hotel, but assign a reasonable value of 5K Starpoints per night, that would make the certificate worth 35K Starpoints. That means we can assign a value of 55K Starpoints use for 120K miles, an effective 118.2% transfer bonus. 3. If you wouldn’t normally stay 7 nights at a hotel, but assign a dirt cheap value of 3K Starpoints per night, that would make the certificate worth 21K Starpoints. That means we can assign a value of 69K Starpoints use for 120K miles, an effective 73.9% transfer bonus. 4. Don’t need 7 nights in a hotel? Some Marriott reps will allow you to return the 7 night hotel certificate for a refund of 45K Marriott points which you can transfer back to 15K Starpoints. You may need to book a hotel and cancel it in order to receive a 45K point refund. That’s not a good value for the 7 night hotel certificate, but if you won’t use the hotel stay then it’s better than nothing. If you return the certificate it’s like using 75K Starpoints for 120K miles, an effective 60% transfer bonus. 5. Don’t want to mess with miles+nights? 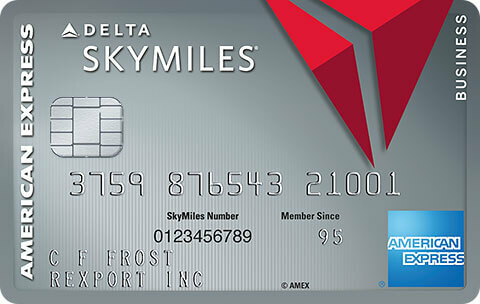 You can transfer 20K Starpoints into 25K miles, an effective 25% transfer bonus. It’s worth noting that there is also a 5 night hotel plus points package, but it’s officially intended for timeshare owners. Most Marriott reps won’t sell it to regular members, but some might if you play enough HUCA by calling them at 800-321-7396. With the 5 night package, 78,333 Starpoints would transfer into 235K Marriott points which transfers into 5 nights in a Marriott category 1-5 hotel and 132,000 United miles (Or 162K BA Avios with the current promotion or 120K miles with other airlines). If you can get a rep to sell the 5 night package to you, then it’s nice to have a 5 night hotel option. But if you plan on returning the hotel night certificate to Marriott then the value will be exactly the same as the 7 night packages. You must call Marriott at 800-321-7396 if you want to book a miles+nights package. They can’t be booked online. The miles will post within a few days of the transfer, regardless of when or if you use the 7 night certificate. The 7 night electronic hotel certificate expires in 1 year, though Marriott currently will extend them for 1 additional year if you contact them. You don’t need to choose the hotel at the time of a nights+miles redemption. The certificate must be used at one property for 7 consecutive nights. You can have the certificate issued in anyone’s name. You can upgrade your hotel certificate by paying the difference in points later on. For example if you wanted 7 nights at the category 7 Renaissance Tel Aviv Hotel you would need 330K Marriott or 110K Starpoints for that stay and you would get 157K miles. If you wanted 7 nights at the tier 3 Ritz-Carlton Herzliya you would need 420K Marriott or 140K Starpoints for that stay and you would get 157K miles. These travel packages are just one of the many ways to redeem Starwood Starpoints. You can also use them for everything from hotel stays to throwing out the first pitch before game 7 of the World Series. But this is a pretty lucrative method. 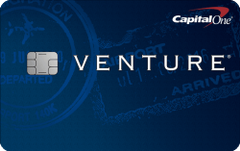 It also means that the Starwood card is one of the best ways of accumulating United miles at a minimum of 1.76 miles per dollar spent. -For example if you spend on United’s $450/year Club card you earn 1.5 United miles per dollar spent. 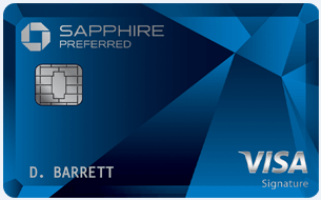 However with this method you can earn 1 Starpoint per dollar spent on the Starwood AMEX which you can turn into 1.76 United miles by transferring 90K Starpoints into 132K United miles plus 7 nights in a Marriott hotel and then refunding the 7 nights for 15K Starpoints (132/75=1.76). Of course if you’ll use the 7 night hotel stay then the value from that award is even higher. This will be even more lucrative when United runs their next mileage transfer promo. 132K United miles is just 8K miles short of a round-trip business class saver award ticket to Israel or Tahiti. Or it’s enough for over 16 short-haul award flights within a travel region like Europe with no fuel surcharges. -If you wanted to accumulate BA Avios you can turn the 1 Starpoint per dollar spent on the Starwood AMEX which you can turn into 2.16 BA Avios by transferring 90K Starpoints into 162K BA Avios plus 7 nights in a Marriott hotel and then refunding the 7 nights for 15K Starpoints (162/75=2.16). Of course if you’ll use the 7 night hotel stay then the value from that award is even higher. 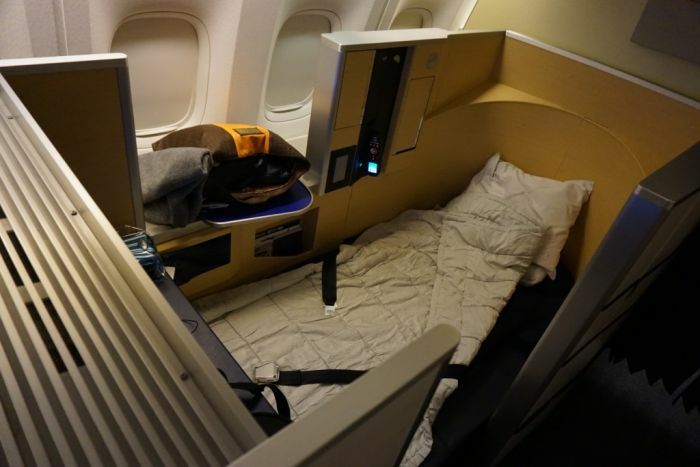 162K BA Avios could be used for over 21 award flights from NYC to Boston, Chicago, Cleveland, Detroit, Miami, Montreal, Pittsburgh, or Toronto with no fuel surcharges. -If you wanted to accumulate Virgin Atlantic, Alaska, or American miles you can turn the 1 Starpoint per dollar spent on the Starwood AMEX which you can turn into 1.6 Virgin Atlantic miles by transferring 90K Starpoints into 120K Virgin Atlantic miles plus 7 nights in a Marriott hotel and then refunding the 7 nights for 15K Starpoints (120/75=1.6). Of course if you’ll use the 7 night hotel stay then the value from that award is even higher. -120K Virgin Atlantic miles could be used for a round-trip first class award flight to Japan on ANA with no fuel surcharges. At a normal cost of $22,000, that’s a value of 29.3 cents per Starpoint ($22,000/75,000 Starpoints)! 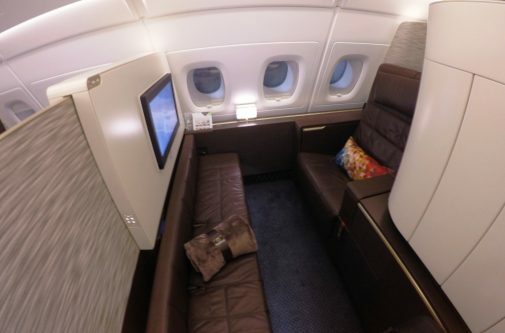 ANA is an incredible Japanese airline with great first class suites that have very comfortable beds and amazing service. I reviewed them here towards the end of the 4th part of my Island Hopper adventure. 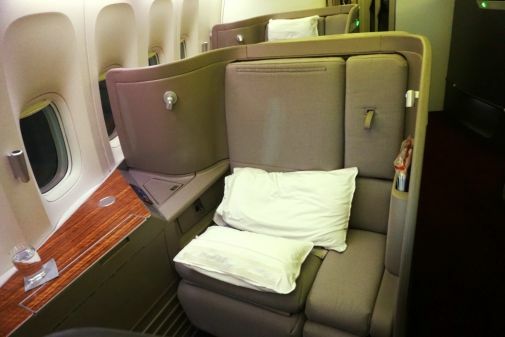 -With 120K Alaska miles you can fly one-way in business and one-way in first class between the US and Asia. For example you can fly from the US to Taipei and get 7 nights at a category 1-5 property there. Or fly and stay at a category 5 JW Marriott in Shanghai or a category 5 JW Marriott resort in Vietnam. You can even stopover in Hong Kong once or twice for as long as you want with Alaska miles. That’s perfect if you want to have custom clothing made there as you can go back to have them fitted perfectly. 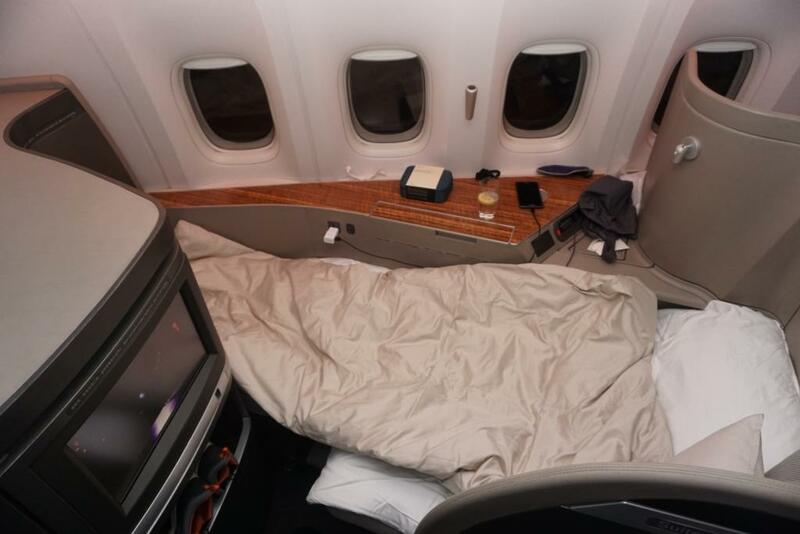 35K Alaska miles gets a one-way Cathay Pacific flight from JFK and Vancouver, 50K for a business class ticket from JFK to Hong Kong, or 70K for first class from JFK to Hong Kong or even from JFK to Tel Aviv via Hong Kong with no fuel surcharges. They even allow free stopovers on one-way awards. The Etihad first class apartment is an awesome suite with an insane amount of space and there’s a shower to boot. Short on Starpoints to reach the 90K needed for the miles+night award? 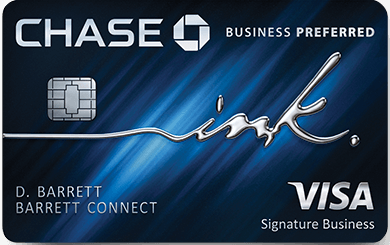 For a limited time the Starwood Preferred Guest® Business Credit Card from American Express is offering 35K points for spending $7K within 3 months. After completing the $7K in spend you’ll have at least 42K Starpoints. That’s equal to 126K Marriott points! -Starwood is offering 35% off purchases and gifts of 5K-30K Starpoints through 3/16. For example 20K Starpoints are on sale for $455 instead of $700 or 30K Starpoints are on sale for $682.50 instead of $1,050. That’s a cost of 2.275 cents per Starpoints instead of the regular 3.5 cents per Starpoint. Of course you also earn miles for the purchase, which makes the real cost even less. If you have a Starwood AMEX and buy 30K Starpoints for $682.50 you will earn 1,366 Starpoints for the purchase, so effectively you’ll pay $682.50 for 31,366 Starpoints, or 2.175 cents per Starpoint. Considering that you can get 2.16 BA Avios or 1.76 United miles per Starpoint, those purchase rates are a bargain. You can only buy 30K Starpoints per year, but other members can also buy 30K Starpoints and they can transfer Starpoints to anyone living at the same address, free of charge! What’s your favorite use of Starpoints? 67 Comments On "All About Marriott’s Lucrative Miles+Nights Travel Packages; The Best Way To Spend Your Starpoints?" How does Spg Plat get you free bags on DL? Dan, the vacation packages are a solid option. I however really like the 4 award nights 5th night free option simply due to the increased flexibility. If you want to go to Hawaii for a vacation you can easily do 5 days on two islands (10 total nights) using 8 nights if award points. True you don’t get the airline miles but for those who don’t want a week at one property or who have plenty of air miles the 5th night free option is great. 5th night free is also a solid option, but you just need to check the value proposition. Which Hawaiian hotels are your favorites? What is the value per point there? Ok, here’s a question… I want to sell my spg points. If spg points are worth about 2 cents per point.. Then 90k spg points is worth $1800. If I transfer those 90k spg points to marriott, I can get a 7 night certificate, plus 162k avios points. If avios points are worth 1.5 cents each.. Then my 162k avios points are worth $2430. Already it’s $600 more than I would have gotten selling my spg points, plus I get a 7 night certificate? What is the best category five Marriott hotel to use the seven night certificate? Not sure if it’s the absolute “Best” Hotel accepting the 7 night cert but the Sortis Hotel in Panama City is part of their Autograph Collection, has an awesome kosher restaurant inside a handful more within a block. The transferable bonuses you claim above are very misleading as they are not apples to apples comparisons. For example, thats great that you get all these United miles or Avios miles both of which are a migraine to use and require fees for fuel and tax surcharges. Conversely, hotel points can be used anywhere and anytime so though they have lower redemption value (though with saver and 5th night free) they are worth more than you estimate they also have no restrictions. None of the examples I gave have any fuel surcharges. In fact United never charges a fuel surcharge on their miles. I used 7.5K Avios+$5.60 last week instead of paying $500 for a ticket. The complexity of the airline mileage game is a feature not a bug. But it means that there is insane value for those that know the code. But yes, for simplicity sake, a regular hotel redemption with Starpoints or Marriott points can be great in lots of cases. You just need to check the value that you’re getting compared to the paid rate. Thanks for this super informative post! Lots of info all in one spot makes my life a lot easier. CAN I USE THE 7 NIGHT CERTIFICATE AND ONLY STAY FOR 5 DAYS OF IT? what happens with the other 2 nights? do you lose them? Thanks for the detailed conversions Dan, was about to do this math before I transfered 180k Starpoints within 2 accounts for 14 nights and 264k United. Should I wait for another transfer bonus instead? Depends when you need the miles. I’d say there should be a United bonus in Q4 perhaps. Sometimes I wish I understood all this points talk and ways to use/maximize points usage. Thanks for all the great info, still trying to digest it. arent ana flights great with virgin atlantic miles ? Has there been a recent data point success of receiving a 5 night certificate? Can transfer British Avios points to spg? 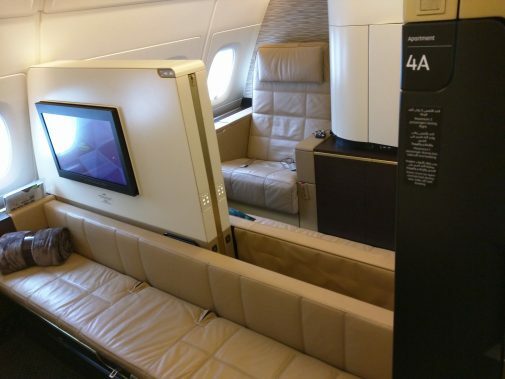 “120K AA miles is more than enough for a flight from the US to Abu Dhabi or the Maldives in Etihad shower class (115K American miles each way with no fuel surcharges.” is it possible to have a 2-3 day stopover in abu dahbi or dubai before heading out to the maldives with just 120k aa or you would need to break it up into seperate legs before you fly? If you stay more than 24 hours you would need a separate award for that. The separate AUH to MLE leg would set you back 17.5K coach/30K business/40K first. anyway to extend that stay? I listed the cost in my previous comment. i meant the way you dan would do it if you had to fly ? didnt you fly to abu dhabi before heading out ot the maldives on a trip report you wrote last year? You get 120K AA from the 90K package. You only need 115K for that particular award. Why is all of the analysis of these packages at the category 5 level? I can never use my cat 5 stays…but I often get great value at higher level hotels (8 etc). Wouldn’t it be better if you also got a ton of value from the hotel side as well? The math stays exactly the same. Just add 10K Starpoints for each category you go up. Tons of value, but no need to recalculate everything for every category. does virgin atalntic have bonuse transfers from hotels like united and aa? and what was the most historically? AMEX MR points have bonuses (like 30% recently) to Virgin, but I can’t recall any hotel transfer bonuses of late. great post, unfortunately I have nowhere near the amount of Starpoints discussed – I have ~32,000 points, what would be the best bang for my buck at this point? Direct transfer to an airline I assume? No point in transferring unless you have a need. You can keep on accumulating points via credit card opening and spending, pooling points from family members together, buying starpoints, etc. Can i transfer Marriott rewards to another account in the same household? if so can I do it within 30 days of creating the accounts unlike SPG’s rule? You can transfer over the phone to book an award and then you can cancel the award. Maybe wrong place to post…but my husband and I were avid followers of Dansdeals. He died young and suddenly this year. All airlines were kind to transfer our mileage to my mileage account except for British Avios. They won’t transfer even with the death certificate. Any ideas? Also, I want to give my kids an amazing trip this year with the Marriott flight and week hotel. They are very young. Please don’t say Disney- but any ideas of a property that will keep them busy all week? Any safe place in the world is fine- thanks to Dan we are used to flying! Why not just use the Avios from his account to book tickets until the balance is depleted? Did this and got the United award last year. Still have the 7 day hotel certificate. Want to transfer it back as you advised. Called Marriott, HUCA’d a few times. They wouldn’t do it. They claimed if I used the certificate to book an award, it would be non-refundable. Has anyone had any difficulty with refunding the hotel booking back into 45k married? Second of all, you can definitely cancel the stay after booked. In fact that’s usually the best way to get it refunded. Just be sure you ask about the hotel’s cancellation policy. Thanks. Please advise what I should ask about. Which cancellation policy should we stay away from? Marriott’s Category 5 restriction is terrific in some cases. The newly opened Paragraph Resort & Spa Shekvetili, Autograph Collection is amazing (category 5, sea view rooms are offered if you ask, free breakfast for gold elite members as usual). It’s in the Republic of Georgia on the Black Sea, about one hour’s drive from the resort town of Batumi that’s close to the Turkish border. Award availability is wide open (we booked 2 rooms for June without any issues and the agent said more are available). Direct flights are available to Israel (just over 2 hours) from the capital city, Tbilisi, but it’s like a 5-hour train ride to get to the capital from the resort. The closest to this resort is the international airport in Kutaisi, which WizzAir flies to from about a dozen European gateways. Haven’t stayed there yet, but supposedly it’s the best hotel in Georgia. Thank you very much! Can you get gifted starpoints even if you bought 30,000 already or you can only get transferred to? Does Alaska ever offer any transfer bonuses? @Dan – do you know if/how existing night certificates will be impacted come August with the combined chart? For example, having a Cat 1-5 cert that’s eligible for up to 7 nights – will I be able to book SPG properties in the same Cat 1-5? Thanks for your insight. You will be able to use them for SPG starting in August. The exact categories are TBD. If I understood Marriot’s website correctly it looks like Switzerland has only category 6 and up. Is that correct? Dan I need a little help. I want to make sure I understand this. We are planning a trip to Tokyo and Kyoto in June. I’m looking at booking the ritz carlton in Kyoto for three nights. It’s a category 5 hotel and it says I need 210,000 points for the three night stay. If I do the miles and nights package can I transfer 90,000 Starpoints to 270,000 Marriott points and redeem that for 132,000 United miles plus 7 nights in the hotel. Can I book 7 nights using the certificate but leave after 3 nights? I’m thinking that the extra 20,000 Starpoints is getting me 132000 united miles. Am I understanding it correctly?? I want to make sure I’m doing it right and getting a good value. Need opinions. Which offers better options and ease of use if i want to use the miles for trip to israel. doing the miles and hotel cert deal with united or with alaska air ? 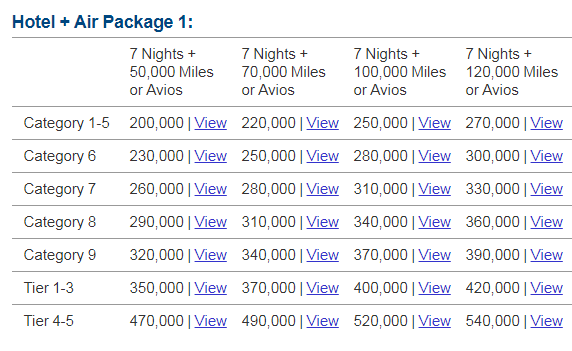 Just a heads up, calling 800-321-7396 for the Miles + Nights package is a big hassle. The infobot computer kept sending to Reservations. Nobody at Reservations knows what is going on. They wanted me to commit to a hotel right away. I explained that I want the 7-night certificate for category 1-5 and I would decide later. It was a game of being put on hold while the rep called someone else. I am waiting for a manager to call me back. Any suggestions on a better phone number to call? I waited 25 minutes for a manager and nothing. Called again and finally got through to the right area. A better phone number to try might be 800-228-2100 in the future! I have maxed out on buying SPG points, will have just 220K Marriott points and want to buy a Travel package/United miles. We could use Chase Ultimate Rewards to top off to 270K Marriott points which seems prohibitive. There are other things to be obtained with Chase points. Any suggestions how to top off? Hey Dan, Will buying SPG points counts towards my amex spending requirement or is it a no no? Thanks! Just had a 5-minute phone call and bagged a 5-night Nights & Flights package ont he first call! Thanks, Dan! I valuate SPG points at $03.3/point based on my previous usages (and it’ll be worth more than that for August through Feb. redemptions), and spg points are now going to be harder to come by. I don’t understand how this is such a great deal. It seems to me to be fairly valued – not some type of “bang the phone lines” kind of deal. At the probable, pretty fair scenario (45K valuation on the 7 night cert), you’re spending the other 45,000 spg ($1485 value – 45k x $0.033) for 132,000 united (which I value at $0.012/point, or $1584, based on my usage – economy vs. business). So you’re rolling the dice to hopefully only spend $1485 worth of hard to come by spg points for $1584 worth of united. I rather hold on to all my spg (200k) for a couple of sweet redemptions, than blow some of it on mile transfers. The most likely scenario based on Starwood Lurker is a refund of 150K Marriott, making the cost 120K Marriott. So work your math again around 40K SPG. SPG sells points for 2.8 cents or less, so why are you valuing them at 3.3? You can literally buy the 90K you need for less than that. I value United at much more than 1.2, but try that math again and get back to me. I agree with your calculations based on your typical (and most Dans “pros”) usage. Cleveland flights, and other 2nd cities (no offense ;), and for sure business/FC tix are a great value with miles. I was just valuating the values based on my actual usage. I’ve gotten $300 United flights for 25K, etc. Yet, I’ve had great redemptions with SPG. ex. 93,333 pts. for 5 nights at Cayman RC (regular room, but upgraded to Oceanfront) right after new year’s – best cash price was almost $10,000 = $0.10/pt.! (kodos to you for preaching spg while I was initially BS..ing around with Marriott) no way I could’ve stayed at RC otherwise. Perhaps the main reason for my post is that SPG accumulation is almost over, and United will still be decently accumulated thru good CC purchases or tri/quadfectca chase transfers.